Thanks Gaetano for the excellent suggestions. I think you’re spot on with Autopolo and you have some great leads regarding the others. I’ll point Francesco to your comments to help update his pages too. Thanks, I think the same. 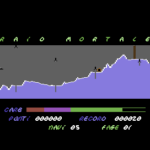 About “Raid Mortale”, there’s a “better” version of this game in another tape, and it’s called “Power Station” (http://specialprogramsipe.altervista.org/gioco.php?collana=nova_games&console=c64&codice=powerstation&id_rivista=3). 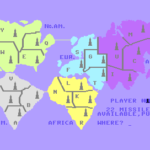 I had a chat with other members of an italian Facebook group about C64; my first idea was that the game was published as a “type-in” in some british or german magazines in 1986; I guessed the author could be Ronald Mayer, whose games I found looked very similar to this. 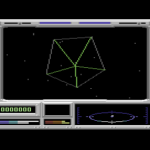 A member of the group, who’s a very good C64 programmer, told me that I could be wrong, because Ronald Mayer’s games in the GameBase have got a completely different programming style. I still think that magazines listings are worth being investigated (the game is very simple, it even lacks a title screen!). 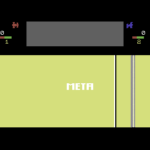 “Tank Attack” is clearly made with the Garry Kitchen’s Game Maker, maybe by Leonardo Casubolo, one of the people involved in SIPE magazines at the time. 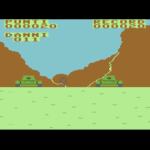 SIPE published some other games made in Garry Kitchen’s Game Maker, which bear the signature of Leonardo Casubolo, so I guess this Tank Attack is his creation as well. It’s a little and unplayable game so I agree with you: it must be published on a magazine. 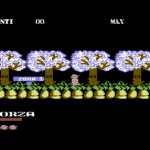 About “Rudy” it was also published on “New Special Play Games” n.4 and on “Hit Parade” n. 20 with the name “My Hero”. 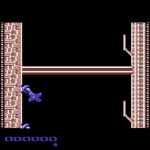 I think it was the only game made with “Ghosts’n Goblins Construction Set” ( http://www.gb64.com/game.php?id=3137 ). For this reason I don’t this is by Alberto Frabetti. About “Tank Attack” I think the same as you but with some doubt: not all games published by Leonardo Casubolo was original: for example “The Raid” is a pirated version of “Chopper”: a demo game on “Garry Kitchen’s GameMaker” floppy disk. About “Rudy”, I think it’s not made with the G’nGCK; the routines are very different (especially the jump! 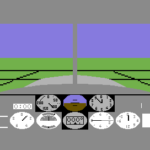 ), Rudy’s got an “energy” bar instead of a time counter, and so on… Moreover, Alberto Frabetti says he always programmed his own routines (http://ready64.org/articoli/leggi/idart/27/intervista-ad-alberto-frabetti). I found his profile on Facebook, and asked him directly, I’ll let you know as soon as I get his reply! Thanks James – i’ll pass these onto Francesco to update on his page as well. Thanks to found the original name! 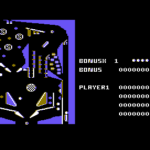 The pinball game, seems to be made with the pinball construction set by electronic arts 1983.